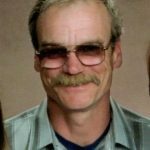 Tom Renton of Kamloops BC passed away after a lengthy illness on May 7, 2017 at 69 years of age. Born on May 2, 1948 in Port Coquitlam, BC, Tom leaves behind his loving wife Ann and daughter Jennifer, brother Jack (Patty), sister Lorrie and extended family. He was predeceased by his parents Fred and Pat. Tom will also be missed by his faithful companion, Katie. As a young man, Tom was proud to serve his country with the PPCLI 2nd Battalion. Later, after trying out a few occupations, Tom found a career in mining. He loved to operate heavy equipment. An avid outdoorsman, Tom was happiest tromping through the bush chasing chickens (hunting grouse) or sitting by a stream panning for gold. I’m very sorry for your loss, Tom was a great employee & friend to me. We are thinking of you and wishing you peace and comfort as you remember Tom.